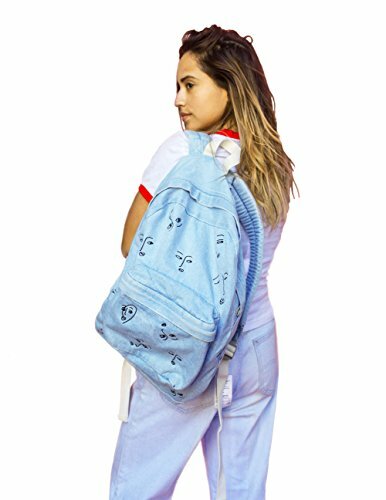 Kitschycool embroidered denim backpack from The Style Club. Washed + faded denim with a zip around closure and roomy main compartment featuring a front accessories pocket for stashing your essentials with easy access. Finished with a woven carrying handle and adjustable, padded shoulder straps, perfect for toting everything you need wherever you're heading. If you have any questions about this product by CLUB STYLE, contact us by completing and submitting the form below. If you are looking for a specif part number, please include it with your message.